. 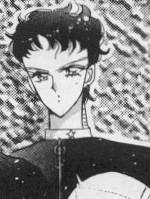 : Lunar Palace v.5 - Manga: Sailor Star Fighter :. Seiya joined the football team. Saiya is really a female pretending to be a male. The Three Lights are the guardians of the Kinmoku System.